France - the city of lights! It’s also known as the Most Romantic city in the world. The few things that come to mind about France are the Eiffel Tower, French wines and French perfumes. You might as well add French fashion as well! Few things in the world habitually remain synonymous with the places that you visit. For example, India is synonymous with Taj Mahal, The Great Wall of China obviously with China, Big Ben with London so on and so forth. If you’re planning a getaway to France, you will be surprised to know that there are so many things you can explore. In France there are little known things remains hidden until they are re-discovered. A first time traveler will go to France and perhaps choose his or her first place of visit as Paris to see the Eiffel Tower. It offers a magnificent view of the surrounding and it gets crowded as well. So when you visit here, you can expect numerous crowds wanting to visit this place in a serpentine queue for tickets. 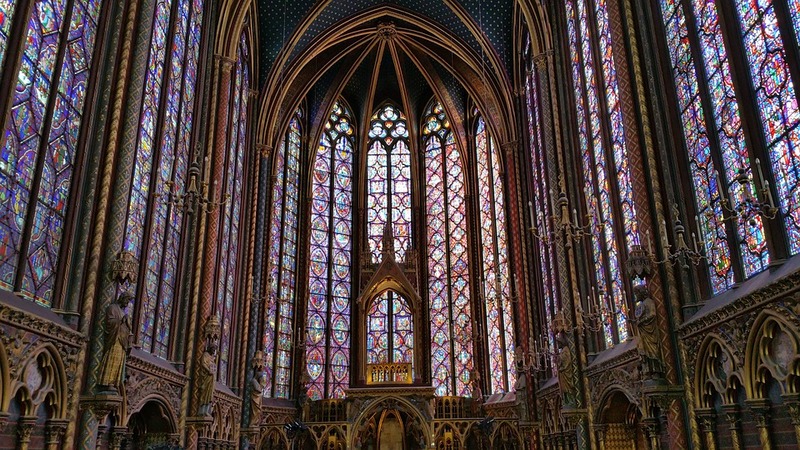 you will be fascinated with Gothic design both on the outside and inside. The building is laden with one of the most impressive features is the stained glass and intricate carvings on the inside. This fabulous building also served as a place of worship. 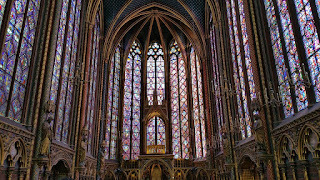 When you enter Sainte-Chapelle, you will notice stained glass surround the walls on all the four sides, the ambiance created on the inside with the faint light brings a distinctive Gothic feel to it. The pillar mid-way has statues and the arches have carved angels on them. 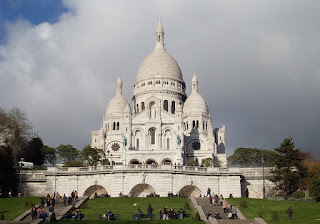 Sacre-Coeur is another place in Paris where you can spend some time. 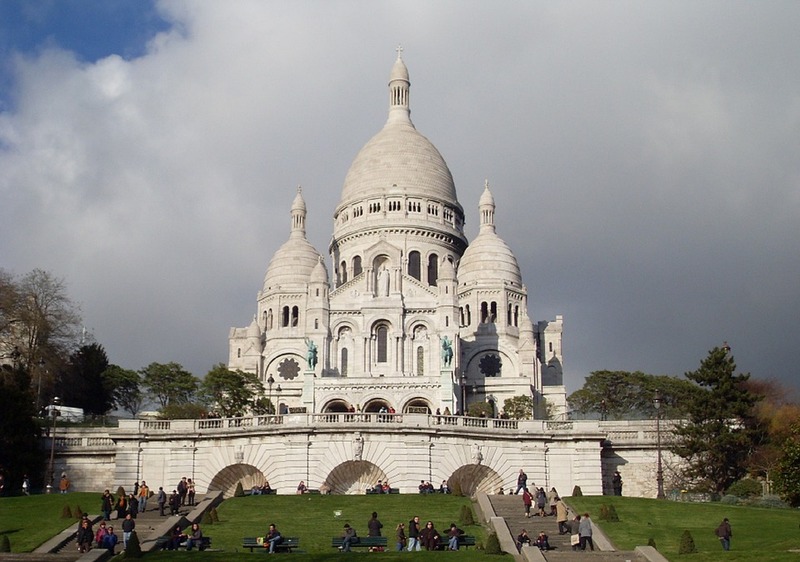 Sacre-Coeur commonly known as Sacré-Cœur Basilica or Basilica of the Sacred Heart of Paris as it is called in English. It is a Roman Catholic Church and s popular landmark. The Church is surrounded on trees as you enter the main courtyard and when you turn around, you will notice the splendid view the location offers. You can view the massive skyline unobstructed. Stairs lead to the church as you make your way up. When the sun has set, the place is beautifully lit. Although it is not open throughout the night, you can still view the beautifully lit courtyard and church. Rome. 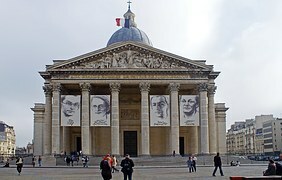 The difference, however, it’s a tomb of all the famous and dead people of France. Famous French personalities like Voltaire, Victor Hugo, Marie Curie and many more are buried here. The interior of the Pantheon is elaborately designed with pillars holding massive arches above them. The carvings on and inside is richly decorated and is sure treat for the eyes. What one may find is the French architecture designs differ vastly from Roman architecture. French Architecture has evolved from time drawing inspirations from various sources over the period. It is this distinguishing feature witnessed in the course of several years that develops a distinct feature. There is more to France than meets the eye and these but a few places where one can visit and take some awesome memories with them. Although, unusual one might say but the experience of these places is once in a lifetime.